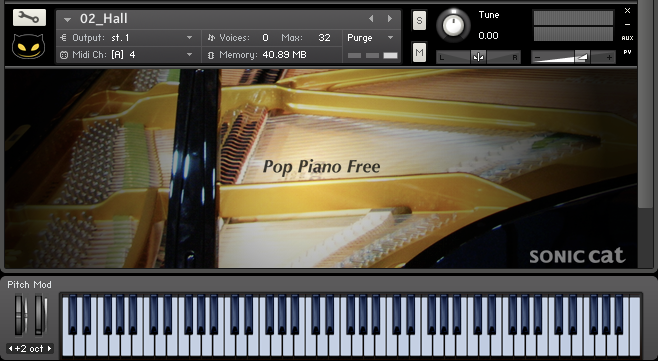 Pop Piano Free, Virtual Acoustic Piano from Sonic Cat. Luxonix is reorganizing its activities and launches the Sonic Cat brand, which debuts with a free Piano library for Kontakt. Sonic Cat is now offering most of the Luxonix sound libraries for Kontakt, while Luxonix is planning to release plug-ins and VSTi only. To celebrate the launching of Sonic Cat, Kontakt users can download for free an acoustic piano library and get 40% off paid collections. Pop Piano Free is a 24-bit / 44.1kHz sample library of a Bechstein MP192 Grand Piano recorded with analog gear in a concert hall. It features 352 samples, with 4 velocity layers and you will find in Kontakt 5.3 and later 8 instruments (full version of the sampler required). 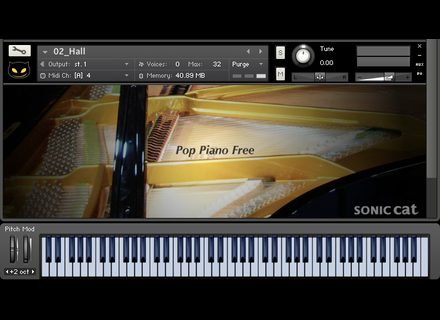 Download Pop Piano Free from sonic-cat.com. n-Track Studio updated on iOS n-Track released on the AppStore version 3.4 of its n-Track Studio multitrack recorder app for iPhone, iPod Touch and iPad. Spitfire invites you for dinner Spitfire tuned its wine glasses and set the table with its best glass and ceramic vessels. Invitations were sent, the new Kitchenware is ready! New ENGL amps in AmpliTube CS IK Multimedia adds to its AmpliTube Custom Shop for Mac and PC new amp models from the ENGL manufacturer.